Feel free to call us on 0707 707 0495 option 9 at any time. Operating a coach (or running a similar business) comes with a lot of responsibilities. One of the most important ones will be coach insurance, and all operators of such vehicles need to invest in some to work safely and legally. Much like all other kinds of vehicle insurance, your specific circumstances will determine the type and level of cover that you need. For example, if you’re simply operating a coach for personal reasons (perhaps for a local charity or youth club you volunteer at) then you’ll probably have very different needs to owners of a coach fleet, which is why it’s so important to do your research. All insurers will be able to offer slightly different things, so if you want to make sure that you’re getting the level of cover that you need it’s important to look around. Always opt for specialist insurers or brokers as they’ll have the experience in the area to know what you’re looking for, and ideally speak to someone who can create a tailor-made policy that suits your individual needs. As you’ll be carrying passengers you should probably look for the most comprehensive level of cover that you can, but there are always options that are more basic. But, it makes sense to be fully prepared so ideally look for what additions can be included in your policy, with things like legal expense cover, public liability insurance and breakdown assistance being well worth considering in this industry. It’s important to remember that a comprehensive policy doesn’t always mean that you have to spend a fortune. If you look carefully and compare several options you’ll easily be able to find a policy that gives you just what you need at a price to suit, and don’t be afraid to see what added discounts can be offered as well. If you head to price comparison sites or specialist brokers you’ll easily be able to compare several options, and if you’re looking to save even more cash consider things like increasing the excess or dropping off any unnecessary additions. 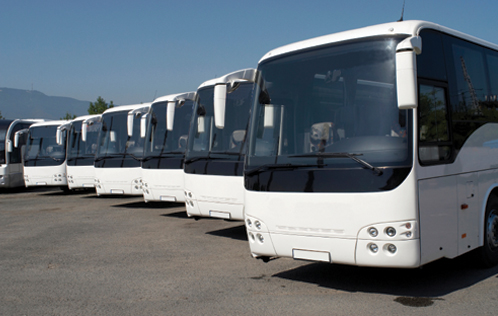 So, when it comes to coach insurance, always look for a policy to meet your individual needs. Your personal circumstances and whether you’re operating as an individual or a business will have a huge impact on the type of policy that you go for, as will your budget and the extras that you need, but if you spend the time to look you’ll have no problem finding just what you’re looking for.